This amplifier could be yours, ON US! Just add it to the cart with any headphone $999 or more, and use the coupon code PICODACAMP2018 (for models with built-in DAC) or PICOAMP2018 (for models without DAC). Tried and true, the HeadAmp Pico offers a very versatile, portable audio package that delivers beautiful sound from a wide range of headphones and in-ear monitors. the optional USB DAC shouldn’t be missed and punches way above its’ weight, delivering big sound from a tiny package. Between the compact size and 30-hour battery life, the Pico is an audio companion you and your headphones should never be without. The original Pico amplifier from HeadAmp is still our all-time best seller, for good reason, as it offers clean, clear, powerful sound from a tiny, handcrafted body, available in a wide range of colors. The Pico mates especially well with low-impedance headphones and in-ear monitors, and the gain switch gives that extra kick for dealing with higher-impedance cans. The Pico’s built-in battery lasts about 30hours between charges, so it is ready to keep playing all day, and all night. The dual-cell Li-Po provides the big output power that makes the Pico work so well with full-sized headphones. The optional upsampling USB DAC accepts 16/44.1 and 16/48 signals, and uses a Wolfson chipset to produce sound quality you would expect from a full-size component. It’s compatible with most desktop and many iOS and Android devices, so you can take your hi-fi sound wherever you go, streaming the sounds you love. 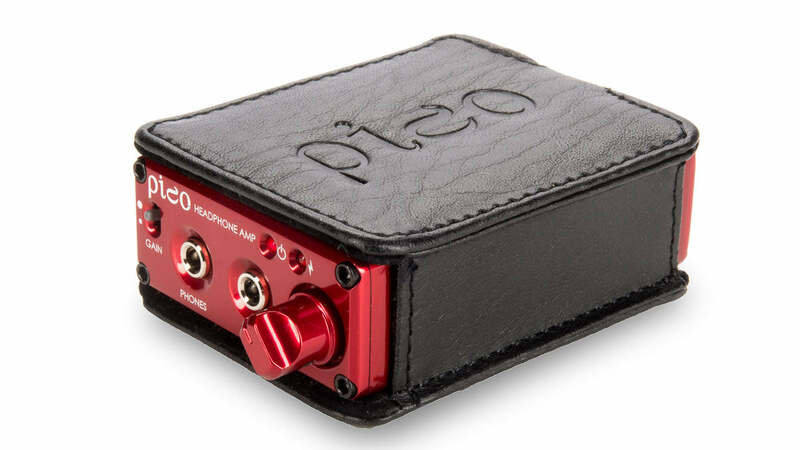 The Pico includes an AC charger, and a leather amplifier case.